ANGLER as quality Offshore Development Center (ODC) offers a gamut of dedicated Open Source Software Development expertise namely PHP / MySQL, Ruby on Rails (RoR), AJAX, Joomla, WordPress and Drupal with quality programmers, developers and coders for clients spread across the globe. ANGLER possesses the necessary expertise in developing offshore open source development solutions across a broad range of technologies. Our dedicated developers can integrate and customize various open source and Rich Internet Applications to develop quality web applications. Why ANGLER for Open Source Development? 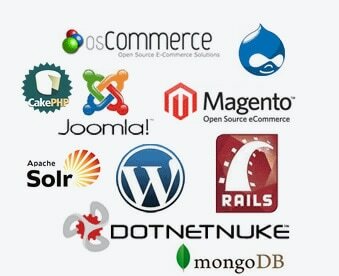 ANGLER provides unique Open Source Web Development services, which includes web development using Joomla, Drupal and WordPress as CMS integration. We have expert team of Joomla, Drupal and WordPress Open Source Developers and Programmers to provide you tailor made solutions as per your requirements and business needs.